As Green level Investors in the Environment (iiE) members, Northampton General Hospital NHS Trust has taken significant steps in its journey towards becoming a more sustainable organisation. As a public sector organisation, the need to make cost savings wherever possible is a high priority for the hospital. Furthermore, this has resulted in a much-needed focus on cutting costs internally through necessary reductions of wasteful resources such as electricity, water and gas usage. The Trust’s Environmental Policy and its current green practices are piloted by the dedicated green Champion for the Hospital, Clare ­­Topping, who has received the iiE ‘Great Green Champion’ award two years running to commend her remarkable commitment towards the scheme. Clare drives sustainability throughout the hospital by actively encouraging senior management buy-in and communication across the organisation to ensure maximum participation and commitment towards becoming a greener organisation. This has lead to vast improvements, such as increased awareness of sustainability and improved training for staff, particularly with regards to waste and recycling. This ensures that the performance and regulations of the hospital are maintained and improved where possible. 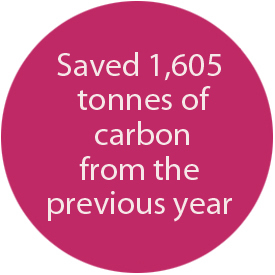 A saving of 1,605 tonnes of carbon from the previous year. This is a 12% reduction. A resource efficiency improvement of over 5%. Per patient, electricity improved by 5%, paper towel usage by 16%, office paper reduced by 9% and clinical waste by 9%. 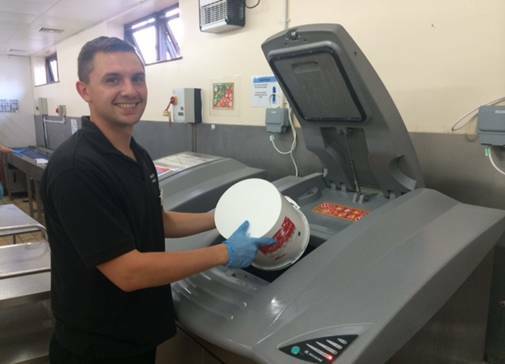 The installation of Food Waste Macerators. Launch of the WARPit reuse platform. Creation of a Health and Wellbeing group. Ran a WEEE Amnesty for staff to bring in household goods. Presented to the anaesthetic department to raise awareness and encourage better controls, as gas is one of the largest single source of GHG emissions. Throughout the year, environmental meetings take place involving members from all departments, covering the majority of actions, updates and information for staff. It is then the responsibility of attending members to filter relevant information through to staff. A newsletter is sent out every month with key achievements, wider sustainability news and a focus on a particular sustainability issue such as pollution or antimicrobial resistance. There are also engagement activities planned throughout the year to interact with staff members and promote sustainability to both raise awareness and encourage uptake. In order to further engage staff in the scheme, additional training is provided by the hospital for Health Care Assistants on sustainability issues, with advice being given on how to be ‘greener’. In addition, the hospital participated in the NHS Sustainability Day last year, which is a national day of action across the health sector. This annual event is where NHS Trusts, Clinical Commissioning Groups, Hospitals and organisations take action to highlight the important role sustainable development can play in health service delivery. With a focus on improving the use of sustainable transport amongst staff, travel surveys are carried out frequently, with actions in place to encourage the adoption of more active modes of travel. 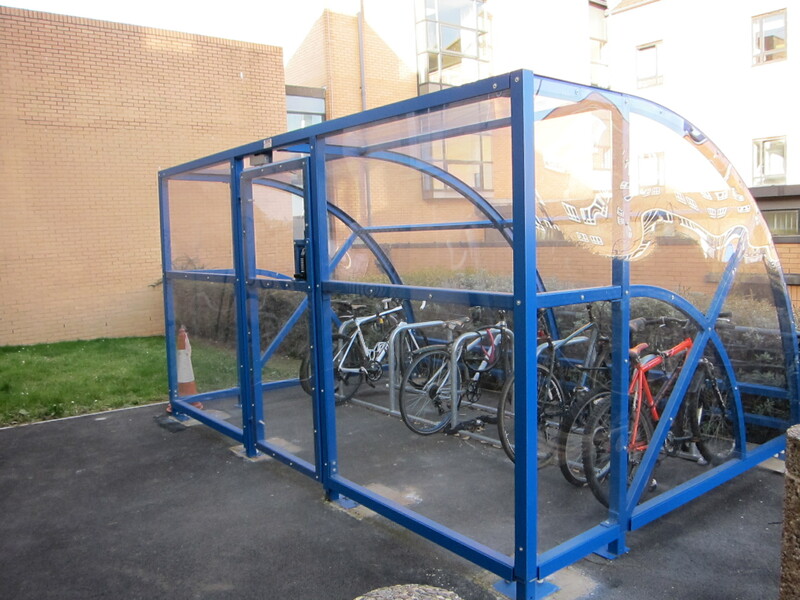 New cycle sheds have been installed following requests from staff via the survey. 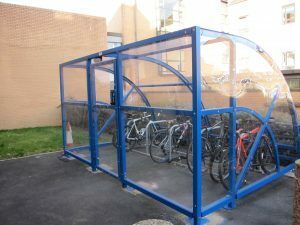 Overall, the hospital has seen an increase in sustainable travel, with results from the survey showing a decrease in single car occupancy by 5% and a total increase in walking and biking uptake.